Jessops has launched a short film competition, whereby film-makers must use either a digital camera or DSLR to create a 10-minute film to be in with a chance of winning £5000 worth of camera equipment. The film must be titled "The Shot" and will be put before a judging panel which includes film and television directors and headed up by Paul WS Anderson, Director of the Resident Evil series. The competition is open to everyone in the UK, with the winner receiving an all expenses paid trip to the set of Anderson's latest film, in addition to a £5000 camera package from Nikon. Plotlines can be centred around anything you like, the only caveat being that it is shot on a digital stills camera or DSLR. Video function is included on most current DSLRs, with many creative film-makers now using them for mainstream videomaking, such as films, television programmes and adverts. 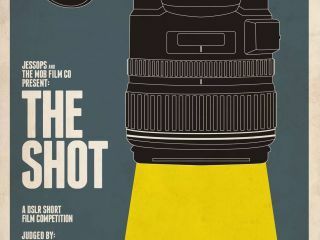 The competition closes on January 31st, 2012. For more information on the rules, visit the Jessops Facebook page.